Arnold Palmer Regional Airport is located in Westmoreland County, Pennsylvania, about 3 kilometers southwest of Latrobe and 53 kilometers away from Pittsburgh. It is located along Routes 30 and 981 in Unity Township. 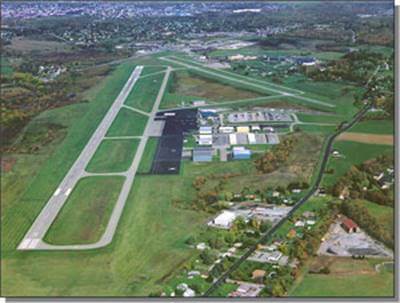 The address of the airport is Arnold Palmer Regional Airport, 148 Aviation Lane, Latrobe, PA 15650.